Meriam PIT5000 - Eastern Controls, Inc. Founded in 1911, Meriam Process Technologies is recognized as a leading supplier of instrumentation and test & calibration equipment. Utilizing the latest advances in technology and design assists Meriam in delivering exceptional performance for consumers. Meriam’s products and services are found in various industries such as Chemical, Petrochemical, Oil & Gas, and Medical/Life Science. 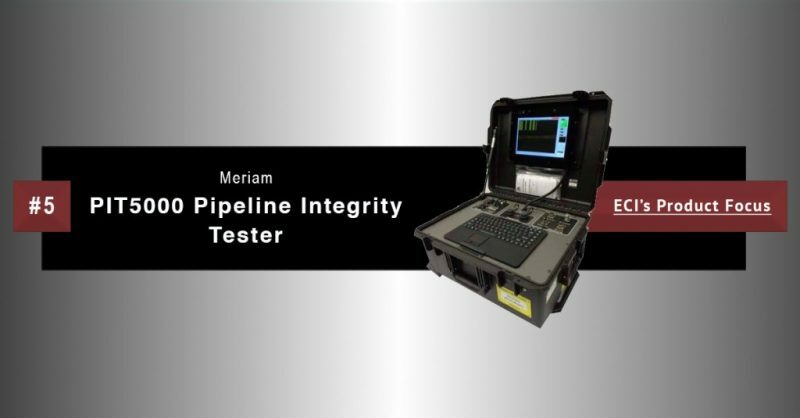 Meriam’s PIT5000 Pipeline Integrity Tester is the premier instrument for conducting and documenting pipeline hydrostatic pressure tests. This device replaces bulky and fragile dead weight pressure testers, pressure chart recorders, and temperature chart recorders with a rugged all-in-one solution. The durable composite case has built-in wheels, a collapsible case, water resistance, and a pneumatic lift arm to prevent accidental closure. To learn more about the PIT5000 and other Meriam products, contact ECI by filling out our contact form and a representative will reach out to you within 24 business hours. Check out this month's edition of 5 Things You Need to Know to learn about the latest news at ECI, within the industry, and about our manufacturing partners!